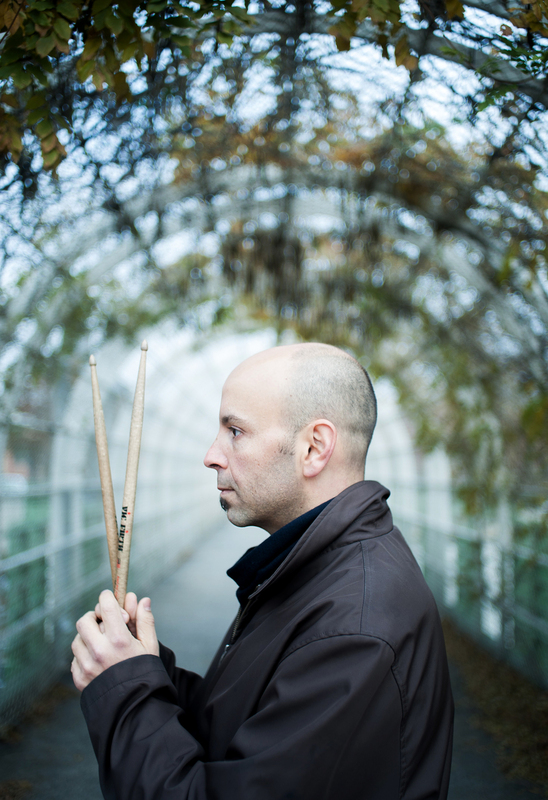 Forget for a minute how few drummer composers have as much of a gift for melody as Rob Garcia. Or for that matter what an acerbic, smart lyricist he is. 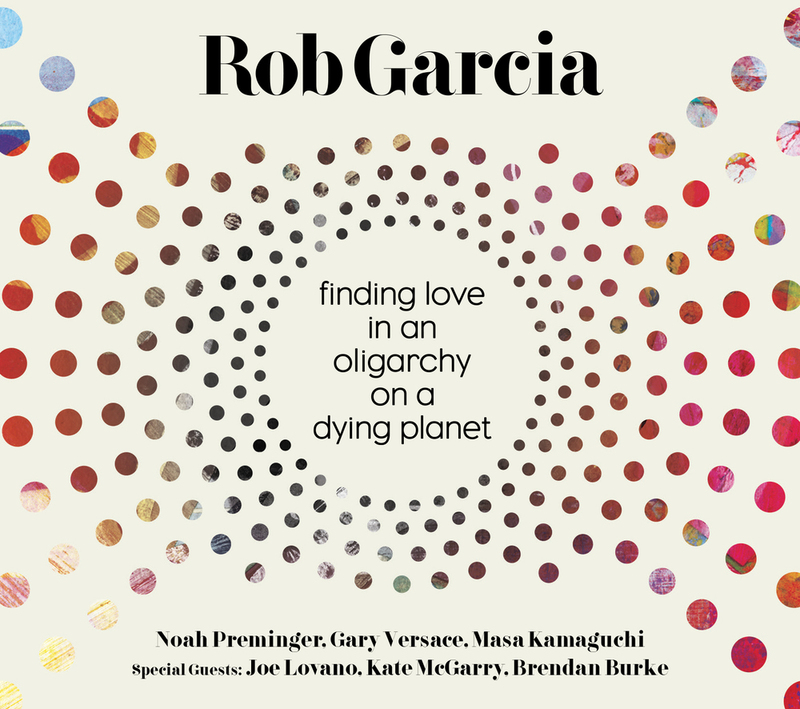 It’s impossible to imagine an album that more accurately captures the state of the world in 2016 better than his new release Finding Love in an Oligarchy on a Dying Planet. Isn’t that the challenge that pretty much everybody, other than the Donald Trumps and Hillary Clintons of the world, faces right now? Garcia’s critique is crushingly vivid, catchy as hell and just as erudite. He offers a nod back to the fearlessly political Max Roach/Abbey Lincoln civil rights-era collaborations, and has an aptitude for bustling Mingus-esque 50s noir. His first-class band includes Noah Preminger, a frequent collaborator (who has a killer new album of his own just out) on tenor sax, along with Gary Versace on piano and Masa Kamaguchi on bass, with Joe Lovano and Kate McGarry guesting on a couple of tracks each. A cover of Stephen Foster’s Beautiful Dreamer opens the album, pulsing on an uneasy triplet beat until Preminger’s crafty lead-in to Versace’s spirals sends it into genunely surreal doublespeed territory, a time-warping nocturne. People Are Everything, a similarly uneasy jazz waltz, has Kate McGarry’s austere, Britfolk-tinged vocals channeling a similar angst and a hope against hope. Time and time again, Garcia’s message is that we’re all in this together, that it’s our choice to either sink or swim isn’t one that future generations will have. Preminger’s tightly unwinding spirals sax over Versace’s insistent, acerbic piano deliver a vivid update on 50s noir postbop in the almost cruelly catchy Terror, Fear and Media: Garcia’s own artully terse propulsion so tight with the rest of the rhythm section, ramping up a practically punishing, conspiratorial ambience. Those guys are just hell-bent on scaring the bejeezus out of us, aren’t they? The album’s title track makes plaintively shifting postbop out of a simple, direct Afro-Cuban piano rifff, then takes the whole architecture skyward, a showcase for both Preminger and Versace to sizzle and spin; it has the epic ominousness of a recent Darcy James Argue work, Versace adding a carnivalesque menace. The Journey Is the Destination makes a return to furtively stalking straight-up swing with Lovano again, McGarry rising with a determination that stops short of triumphant: where this will all end up is far from clear. Guns Make Killing Easy opens as a surrealistically creepy, upper-register piano-bass duet and the swings morosely as Versace leaps with a clenched-teeth, macabre intensity balanced on the low end by Garcia’s coldly inevitable groove, Preminger adding nebulous suspense as the whole thing starts to go haywire and then turns into a requiem. Throughout the suiite, Garcia’s own impactful, tersely majestic riffs and rolls color the music with an often mutedly brooding thud, as coloristic as it is propulsive. You would hardly expect the best jazz album of 2016 to be written by a drummer, and it’s awfully early in the year to make that kind of choice. On the other hand, nobody’s going to release a more relevant or important – or tuneful – jazz album this year.